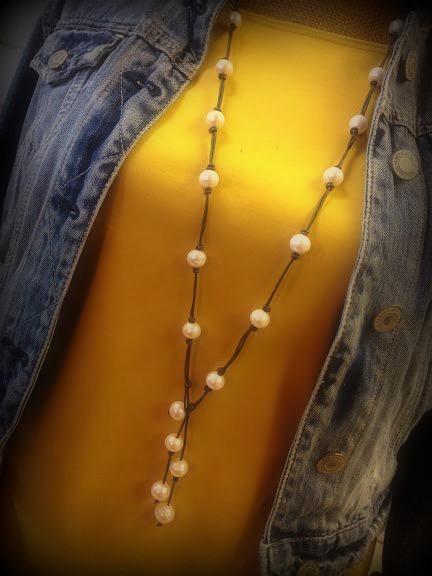 Description 11-12mm freshwater pearls spaced and hand knotted on doubled round leather cord. Approximate length is 34-36" and can be worn long or doubled and worn shorter. Can also be worn with dangling pearls in the back, down neck. Very pretty and versatile piece.